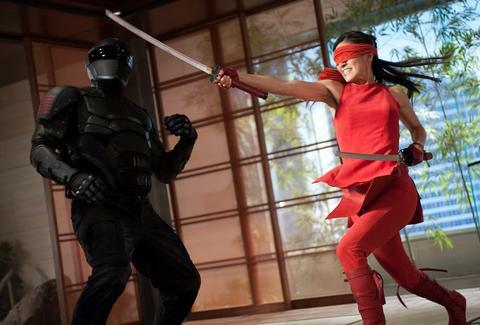 Photo courtesy of Paramount PicturesG.I. Joe: Retaliation marks the second time the little plastic soldiers have become big, meaty killing machines on film. They follow a long tradition of toys-turned-movies, ranging from logical fare like TMNT to head-scratching adaptations like Battleship, which for some reason featured gigantic alien monsters, the iconic pegs as missiles, and Rihanna screaming while shooting guns while wet. Which was actually an improvement on the game. Which iconic toys from your past are next to hit the big screen? Here are a few ideas. 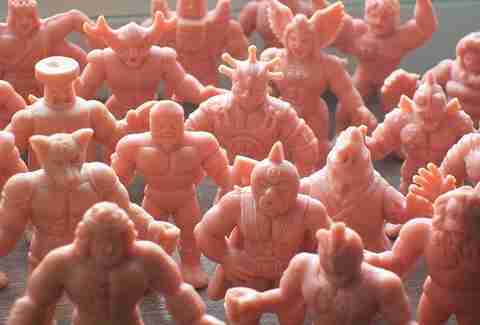 The toy story: A series of tiny, interchangeable, inch-high pink men in wrestling get-ups. The movie: A troupe of underachieving dwarves submits to a secret government agency's bizarre tests to craft the perfect super-soldier: a soldier whose strength and agility are unparalleled, and whose small stature makes him the perfect covert operative. The result will create heroes, but in the depths of every psyche lurks a villain. A tiny, tiny villain. The tagline: "The ultimate little pink smackdown. 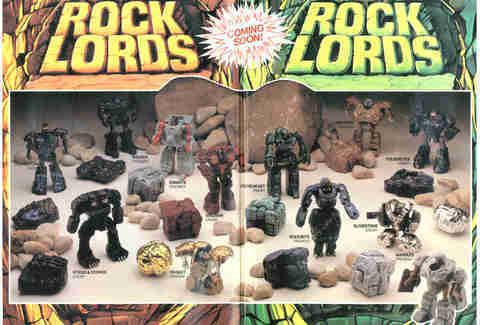 The toy story: Rock Lords were an offshoot of Gobots, except instead of transforming into helicopters, motorcycles, cars, and tanks, they transformed into… rocks. The movie: Deep in a forgotten mine in Appalachia, an ancient battle rages among the good and evil Rock Lords for control of the dark underworld. Then they all turn into rocks and just sit there for an hour or so. The tagline: "Rocks will roll." The toy story: A popular, woody alternative to LEGOs, w/ the titular logs forming nothing but log cabins and rectangular structures. 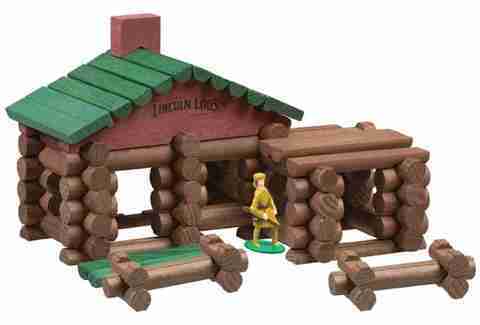 The movie: A hard-hitting environmental thriller in which a greedy logger (Day-Lewis) seeks to clear-cut Lincolnlandia… until a resourceful group of scrappy environmentalists "logs" tremendous time and unorthodox tactics to thwart his plans to line the forests with LEGO houses. The Tagline: "Emancipate your expectations. 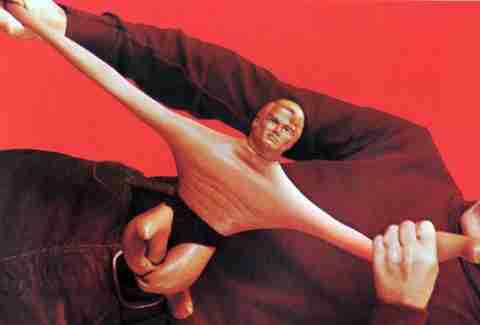 The toy story: Stretch was a hyper-elastic, blonde-bouffanted dude with rubber for bones. The movie: Initially, Taylor Lautner was supposed to be stretch, until casting agents realized abs don't stretch out well. This film finds supercop Stretch Armstrong (Lundgren) fending off a national security threat from Street Fighter II's Dhalsim, who has co-opted Stretch's abilities and added the dreaded "Yoga Flame"
Tagline: "Beware the long arm of the law." 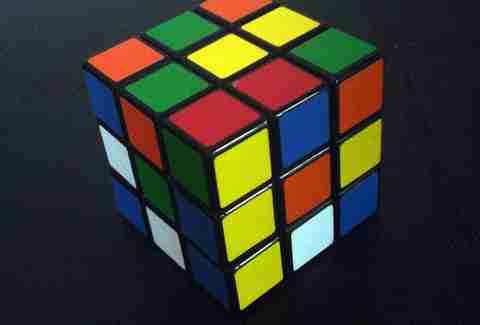 The toy story: That effing toy that made you feel like an idiot about your inability to make a monochromatic square. The tagline: "What is the color of fate? 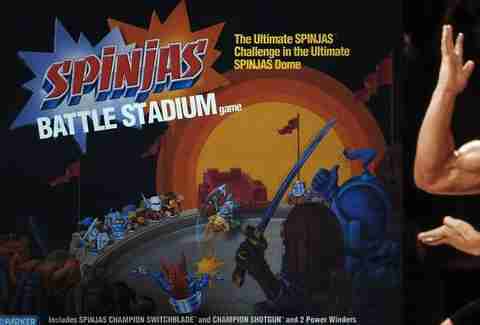 The toy story: Spinjas were little tops shaped like ninjas, which fought it out in a little arena until they just kind of stopped spinning. G.I. Joe seems to have taken a cue from this. The tagline: "Action so tough, it'll make your head spin."